The Church garnered a well-deserved reputation for financial misdeeds over the ages. Now it’s signed up to obey tough U.S. tax rules. The Holy See has never lacked noble words on the matter: “He that hath ears to hear, let him hear.” Now it has actions to back them up. 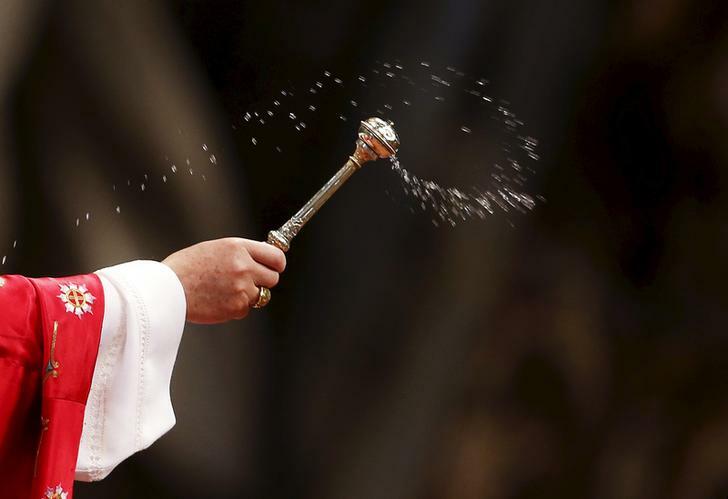 Pope Francis sprinkles holy water during a Mass of Pentecost at Saint Peter's Basilica at the Vatican May 24, 2015. The Vatican signed an agreement to exchange tax information with the United States on June 10. The Vatican will comply with the U.S. Foreign Account Tax Compliance Act (FATCA). The agreement is the first formal intergovernmental agreement between the Holy See and the United States.